Lotus introduced a special watch to celebrate the victory of Marc Márquez in the Moto GP World-championship, a limited edition of 2013 pieces. With this chronograph, Lotus further strengthens its presence in the world of motor sports in the hands of its legendary ambassador. It also launches the Lotus Marc Márquez Junior collection for children. 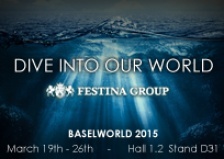 Festina Group presents its new booth at Baselworld. Calypso launches its first MTV collection. 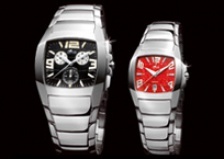 110th anniversary of Festina brand that was founded in Switzerland in 1902. 20th anniversary of Festina as the Tour de France Official Timekeeper. Lotus brand sponsors Moto2 rider Marc Márquez who becomes World Champion Moto 2. 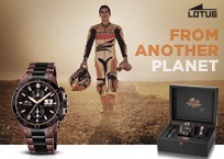 In honor of this event Lotus creates a exclusive Marc Márquez Collection. Lotus Silver brand extension is presented on international markets. 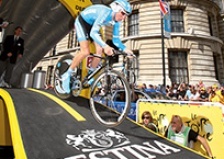 Festina confirms its sponsorships of the Tour de France and La Vuelta for the next five years. Candino is Main Sponsor of Planet Solar, the first solar-driven craft to take up the challenge of sailing around the planet. Festina is the Official Timekeeper of La Vuelta ‘09. The new Festina Ceramic and Lotus Ceramic collections are presented to the public. 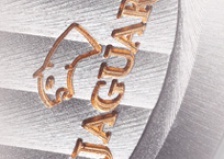 70th anniversary of the Jaguar brand, founded in 1938. Consolidation of the Group in Latin America with the opening of a subsidiary in Mexico. Launch of the Festina Milano and Lotus Lady Cool collections. International launch of the Lotus Code collection. Lotus appears in all three categories in the MotoGP World Championships for the first time. 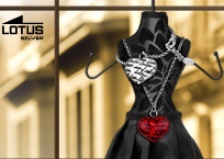 The attractive and popular Lotus Code collection was created. Lotus, Official Co-Sponsor of the Fortuna Aprilia Team, wins the 250cc GP World Champion title for the second year, once again with rider Jorge Lorenzo. 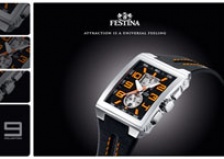 Festina launched Collection nº9, to huge commercial success around the world. 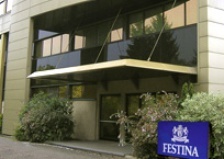 A fourth subsidiary of the Festina Group was set up, in Leuven, Belgium. Lotus, the Official Co-Sponsor of the Fortuna Aprilia Team, wins the 250cc GP World Champion title with Spanish rider, Jorge Lorenzo. The Lotus brand comes to Italy and Lotus Style was marketed for the first time in France, Italy, Germany and Czech Republic. Lotus continued to grow, breaking into the French, German and Czech Republic market. The successful Lotus Shiny collection was launched. Festina Group created the Lotus Style brand, introducing its first jewelly range on the Spanish market. Lotus becomes Official Co-Sponsor of the Fortuna Honda Team in 250cc motorbike racing. Lotus 2gether was launched in Spain. This unique collection combines a lady´s watch with a jewel, and marked the first step in the subsequent incorporation of the Lotus Style brand. 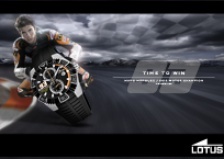 Festina joins the Formula GT-FIA circuit with the “Force one Festina” team. 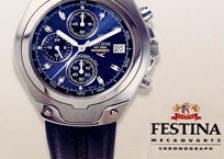 Festina´s 100th birthday. The presentation of a new collection combining tradition and modernity. 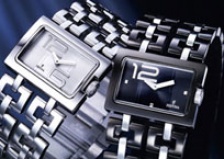 The year also saw the acquisition of Holding Candino, a Swiss watchmaking company. 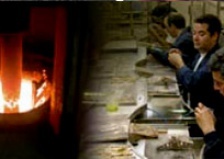 A production unit making gold boxes and watch bracelets was set up in Córdoba, Spain. 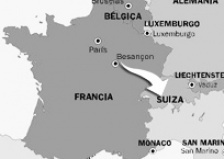 Our subsidiary in France moved to the town of Besançon, whose geographic location near to Switzerland makes it ideal for the company´s activity. 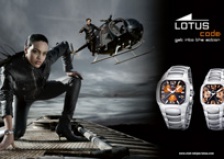 Lotus launched and aluminium watch, a lighter material that was very favourably received by the market. 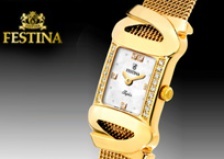 Festina created its own line of gold watches, Festina Oro. 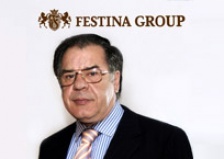 The Festina brand began operations in the United States and opened a subsidiary in Switzerland. This year saw the launch of Mecaquartz, a watch showcasing a combination of mechanical movement an quartz. 1996 also saw the creation of Calypso, a young, casual brand with a very accesible Price. The launch of the Titanium watch, with its new, high-resistant, anti-allergy material, was greeted with a huge public response. The Group once again put exclusive watches within everybody´s reach. 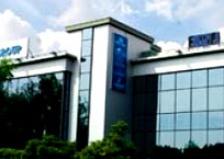 The group opened an Italian subsidiary in Milan, the city known as the global centre of fashion and a significant location for the Group. 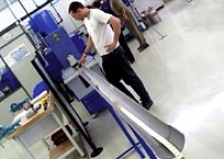 Festina Group commenced its international expansion with the opening of its subsidiary in Marseille, France. 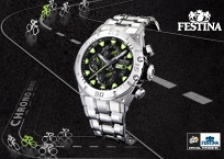 Festina becomes the Official Timekeeper for the Tour de France. The Group widened its product range with the acquisition of Jaguar, a luxury Swiss brand founded in 1938. 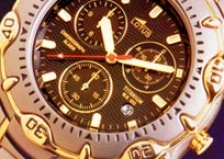 Lotus launched the first Lunar Phase watch, resulting in a huge sales success, and putting watches that were previously accesible only to a minority within the reach of everybody. 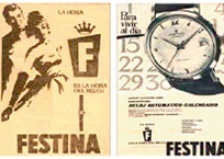 Acquisition of the Festina brand, originally founded in Switzerland in 1902, thereby forming the Festina- Lotus group. 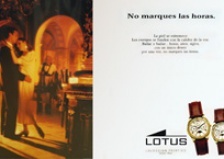 The Group began in Spain with the Lotus brand.